After weeks of patiently waiting, all signs were a go. We have been disappointed before, but this time the signs were there, the planets aligned and Neptune was napping. The alarm went off at 5:30 AM and we fired up the computer and checked all four resources. Nothing had changed for 3 days and that was an excellent indicator that the weather window was correct and would hold for the distance we needed to travel. At 6:30 AM the light was more than sufficient for us to get down the canal from our friend's dock and head out into Cape Florida Channel. We are often asked what one piece of advise we would pass on to those planning a transit that is weather dependent. My answer is always three words...Wait, wait and wait. Well, our resolve has really been tested waiting for a good window to cross over from Key Biscayne to Bimini. Yes, we have had a couple of one-day windows that we might have been able to at least make the crossing, but then we would be stuck wherever we landed in the Bahamas. 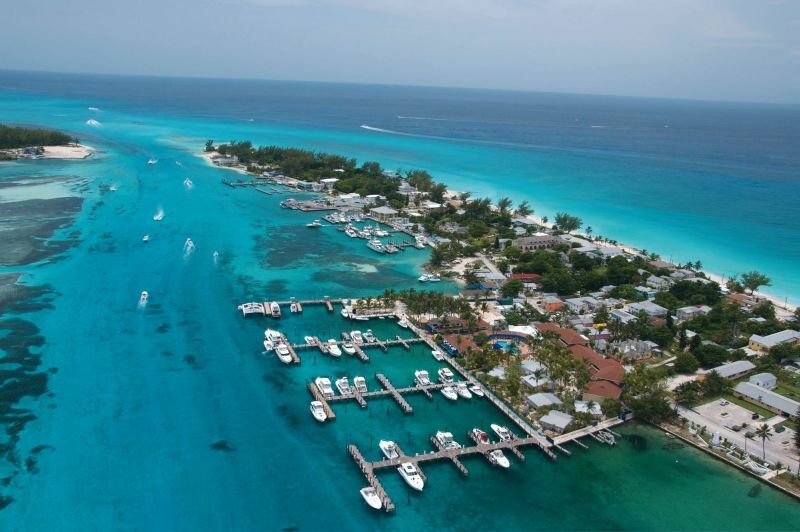 Our options are to sit in an expensive marina in Bimini or hang out in Key Biscayne with some great folks and enjoy it. The decision is really a no-brainer. But this winter seems to be the windiest we have encountered in a long time and the windows are few and short. Everyone has asked us what we want for a good weather window. That's a good question. We fell asleep to the muffled tunes from our one-man band at the Tiki Bar ashore. 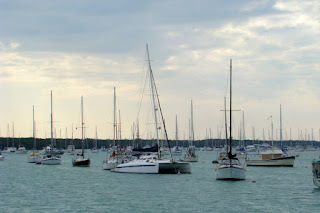 It was not at all unpleasant and kind of added to the already peaceful tranquility of our anchorage for the night. If you can't have Jimmy Buffet sing you to sleep, this is probably a fair substitute. 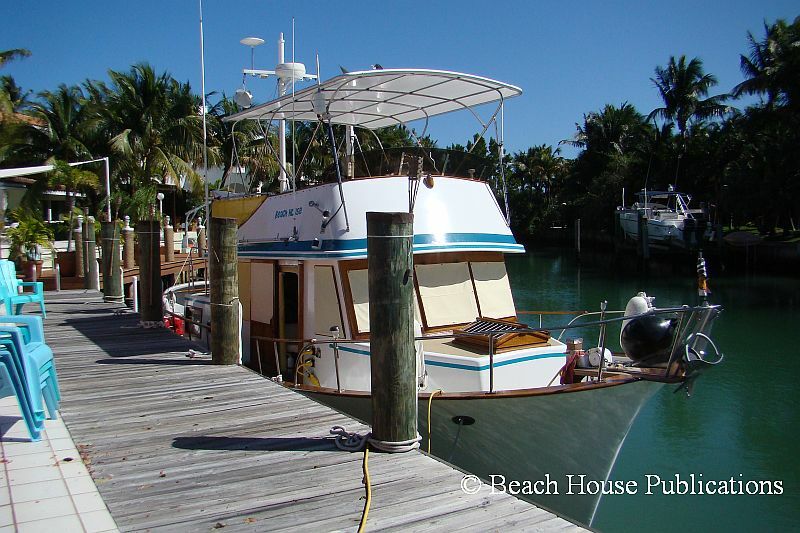 The next morning brought clear blue skies, calm seas and a short transit to Key Biscayne. This meant no rushing around in the morning to get the anchor up and get underway. We could relax, enjoy breakfast, Susan could check in on the Waterway Cruiser's Net and I could check all of the engine fluids and go through our pre-departure check list. 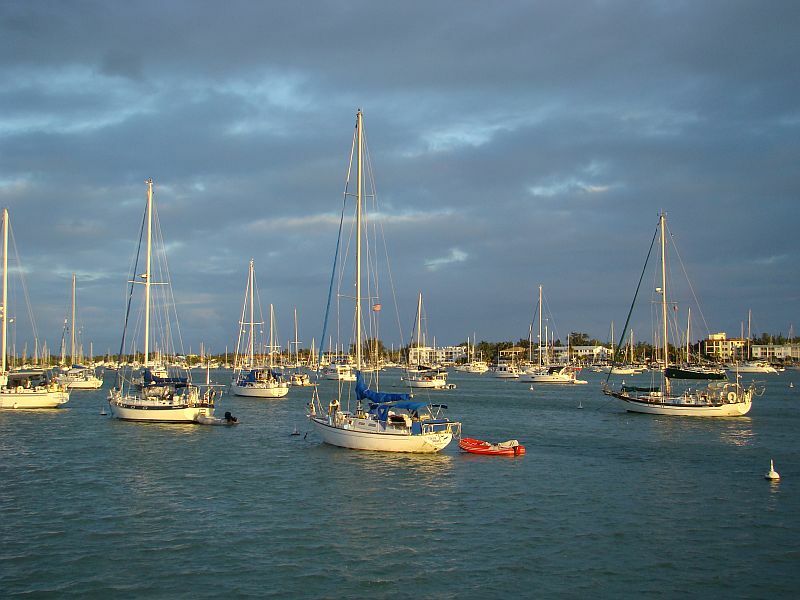 Marathon, Florida was our home base for 10 years. We have sailed between Marathon and Miami many times. 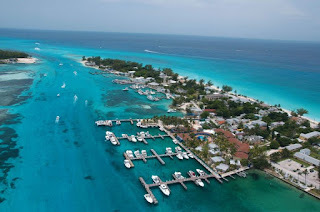 But we always traveled along Hawks Channel because of our 6-foot draft and the reports of how shallow the waters on the Gulf side of the Keys are. 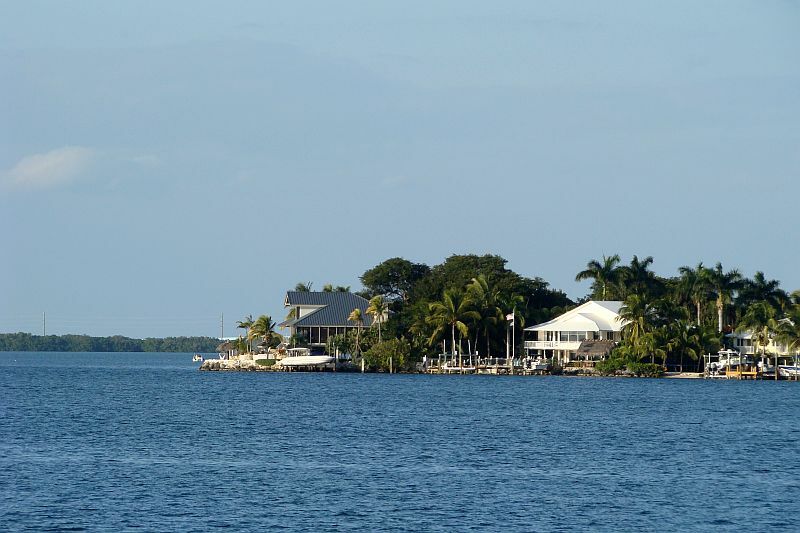 Our experience on the Gulf side has been limited to the Middle and Lower Keys and day trips on small outboards. Finally being able to free ourselves from Boot Key Harbor, we vowed that we would explore more of the Gulf side this time since Beach House's 4-foot draft is ideal for exploring areas we could never consider on Sea Trek in the past. And oh man, were we impressed. I can't believe that in all of those years we missed the best part of cruising in the Keys. And a bigger surprise was the fact that with only a couple of exceptions, the ICW route is not all that shallow. 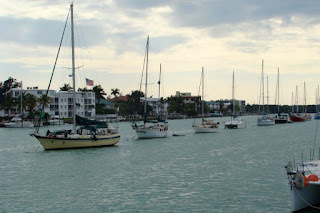 It was June of 2008 when we last visited Marathon, Florida and Boot Key Harbor. 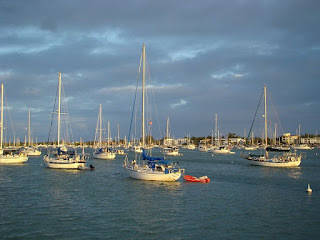 We wrote about our feelings of returning to one of our former home harbors in our Sea Trek Blog, http://sea-trek.blogspot.com/2008/06/boot-key-harbor-marathon-florida.html and here we are again over 4 years later. Our observations are still pretty much the same. We are impressed with how clean the harbor has become and we applaud the efforts by the City and County to make it happen. 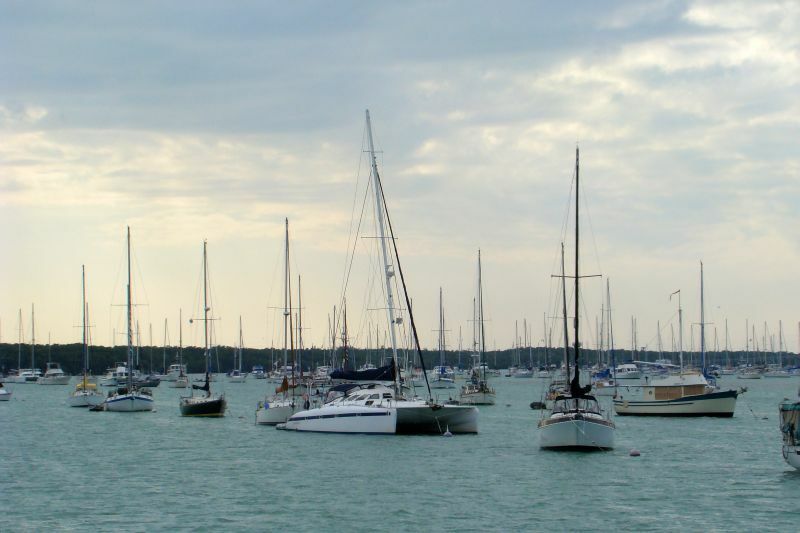 But we're still reminded that Marathon is not interested in cruising boats that would prefer not to take advantage of one of the expensive marinas or pay for a mooring. The attitudes, although friendly, are pretty much, "this is how we do things and if it is not to your liking, see ya later." Are you still in Marathon??? That's the question we are asked over and over lately, and the answer is yes, we're still in Marathon, and not because we love it so much, although we can't complain. 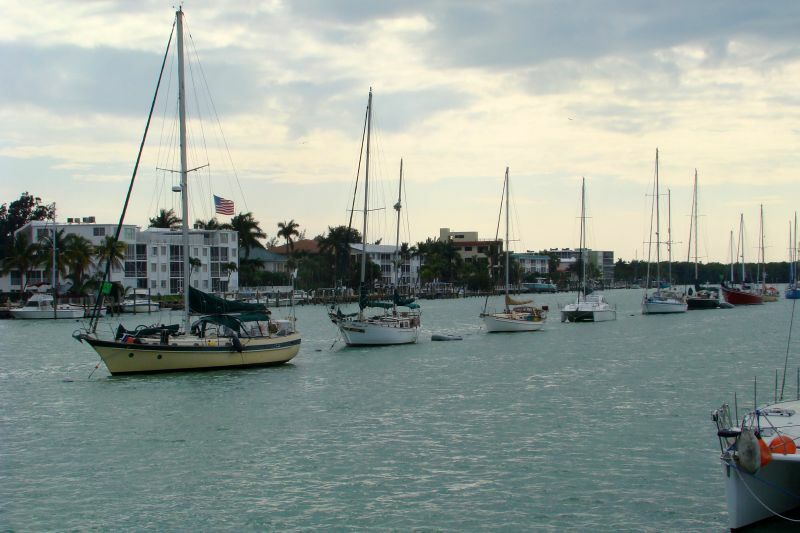 Yesterday and last night the winds were howling, and buoy reports in the Keys were 19 to 27 knots from the northeast. That is the direction we need to travel. About a week ago, we stuck our nose out into Hawks Channel to see if we could move up the Keys to somewhere around Tavernier. We have a hard and fast rule - if we get underway and it's not fun, we turn around and stay put. That's what happened and we turned back to Boot Key Harbor and picked up a mooring. The winds have not let up a bit here, even though it has been much lighter on the mainland and in Miami. We just can't get there from here. The harbor here in Marathon is packed full because no one in their right mind is moving. When things do settle down a bit, it will look like someone pulled the stopper out of the drain. There are lots of other folks besides us that are waiting for the opportunity to cross over to the Bahamas. At some point, the wind gods will blink and we can make a run for it.